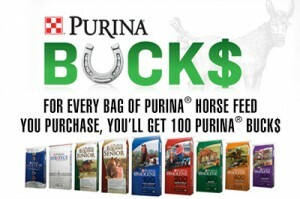 How many Purina Bucks did you collect from purchasing qualified Purina Horse Feed? Our Big Customer Appreciation Event is right around the corner. Mark your calendar for Tuesday evening, January 27, 2015. 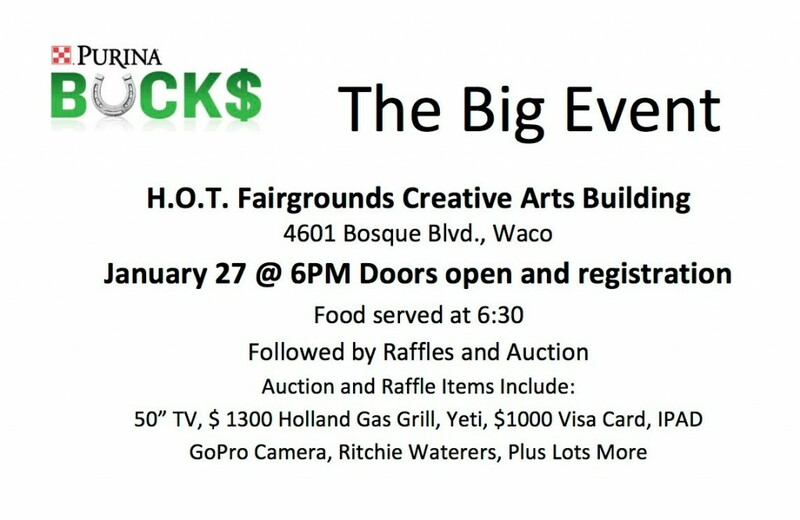 Doors will open at 6:00pm at the Heart Of Texas Fairgrounds, in the Creative Arts Building, 4601 Bosque Blvd, Waco. Food starts at 6:30pm followed by raffles, silent auction and live auction. Spend your Purina Bucks on some of these items: 50″ flat screen TV, a $1300 Holland Gas Grill, a Yeti cooler, $1000 Visa Gift Card, an iPad, GoPro camera, Ritchie Waterers, glider, 8′ windmill, PLUS lots lots more! We’ll see you there! This entry was posted on Tuesday, January 13th, 2015 at 6:05 pm	and is filed under Events, News & Updates. You can follow any responses to this entry through the RSS 2.0 feed. Both comments and pings are currently closed.